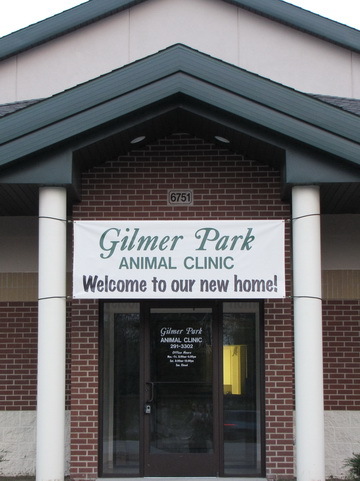 Gilmer Park Animal Clinic welcomes you to our website! Lost? The new highway construction has made it difficult and confusing to get to our clinic. If you are coming from the north on the new roadway, make sure to exit at Kern Rd., which is less than a mile south of the U.S. 20 bypass. Then turn left (east) towards the Old U.S. 31, then right (south) and we will be on the right (west) side of the road. If you are coming from the east or west, take Kern Rd. to Old U.S. 31, head south, and find us on the right hand side of the road. Please don't be shy about calling for directions! 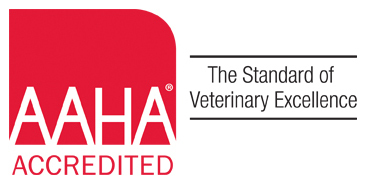 Gilmer Park Animal Clinic in South Bend, IN is a full service, AAHA certified, companion animal hospital. We are committed to providing compassionate veterinary care throughout the life of your pet. Our services and facilities are designed to provide preventive care for young healthy pets, early detection and treatment of disease as your pet ages, and complete medical and surgical care whenever needed during his or her lifetime. At this site, you will find information about our practice, our services, and helpful forms to assist you. There is also an extensive Pet Medical Library for you to search for additional pet health care information. We invite you to contact us with any questions and to learn more about the other features on our website. Thank you for taking the time to read about our veterinary practice and the services we offer. We welcome your comments and suggestions. Please contact us at (574) 291-3302 for all your pet health care needs.